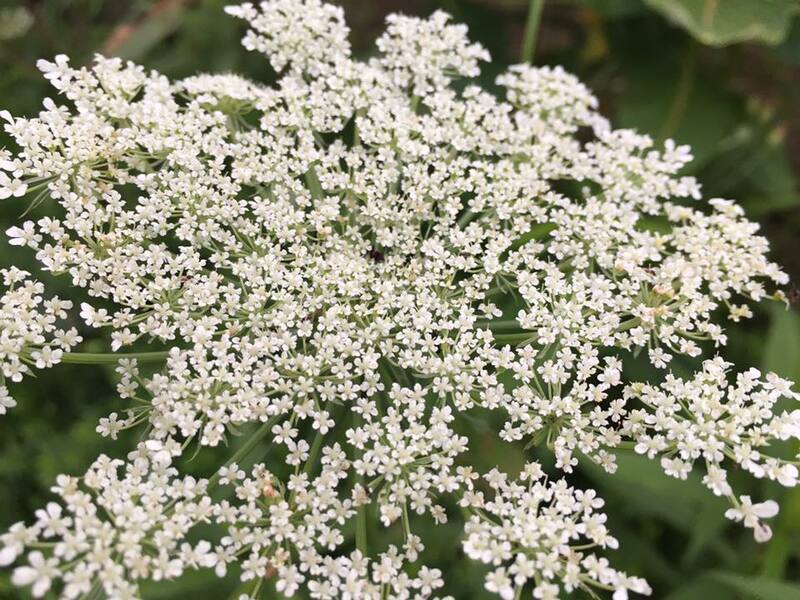 Leisurely walks in the neighborhoods of Boston, Long Island, Newark or Washington D.C., often provide an abundance of man-made beauty seasoned with splashes of nature. In Vermont with its 300,000 acres of state-owned forests, 53,000 of which are in Stowe, a casual walk is completely different. 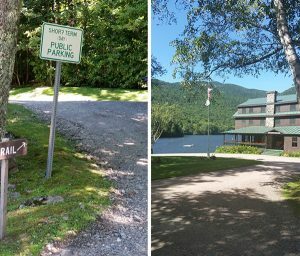 Outdoor strolls in Stowe are a gumbo of wild blackberries, clear spring water, plunge pools at the base of falls, fresh aromas from fir and cedar, calming vistas of tree covered mountains, sunlight stepping stones along wooded paths and relaxing breezes nestling among overhead branches, needles and leaves. You are alone yet surrounded, relaxed yet invigorated. You are in the unspoiled forests of Stowe. Soon it will be leaf season and Vermont has been declared the Number One destination for fall foliage in the U.S. (Trip Advisor). Here are five journeys that are good for the soul no matter what the weather, but during this season these become emotionally serving; witness to unexpected celebrations of life. Enjoy as the Lord in paints each leaf while we sleep at night. Bring your camera. Stowe is home to two mountain ranges; Worcester range to the east, and the green Mountains run to the north and are part of the Mt. Mansfield State Forest. Generally allow 30 minutes for each mile plus an additional 30 minutes for every 1,000 feet gained in elevation. Bring plenty of water; avoid drinking backcountry water. Pack a map, compass, first-aid kit, flashlight and pocket-knife. Whistles can be helpful. Take a shell, hat, & gloves no matter what the season. Sign-in/Sign-out at any trail-head registers; stay on marked trails. Don’t travel alone, especially on more difficult journeys. Just past the right-hand entrance to the North Brook road along Rt. 108, before you cross a small bridge, you’ll see a quick left turn onto an unpaved road — the Ranch Brook road. Park if there’s space and immediately start your walk down the right hand fork which is a slightly rutted road. Soon it flattens out becoming an old timber-hauling road, and further down it offers another place to park your car. You are now in the Ranch Valley and its extensive system of well-marked trails with the beautiful Ranch brook running parallel on your left. In the winter Nordic skiers or snowshoers may require a pass on many of these trails from the Stowe mountain resort’s Cross Country Ski Center. In the summer no charges are necessary. You’re on the Burt Trail – which for the moment is a class-4 road ––a gravel surface — until it reaches the junction of Ranch Camp, Bruce Trail, and the Bear Run. Horses and bikes will need to turn around since the remaining trails are no longer graveled. Left is the Ranch Camp Trail which heads towards the Trapp Family Lodge trail system. The Burt trail in the center continues and is the least hilly. However, the right hand Bruce trail ascends steeply up the Ranch Valley and its degree of difficulty becomes much higher. Eventually Bruce takes you to the original ski trail that was cut by the Civilian Conservation Corps in 1933, part of FDR’s New Deal program – the first ski trail in Stowe. From here you backtrack to Timber Lane that heads towards the Mt. Mansfield Ski Touring area. Take one of the Cross cut trails south from Timber Lane back to the Ranch Brook road to return to the beginning of your journey. These are trails that reveal history and beauty. Total distance will be about six miles. While you are casually driving through Smuggler’s Notch on your way over the mountain from Stowe, look for a parking lot on the left hand side of the road near the top of the road. Park. Across the street find a trial heading up that begins a bit rocky and steep. While you are panting a bit, enjoy the smell of fresh pine and evergreens. After about a mile the Sterling Pond Trail is joined by the Long Trail. Turn left and head down to the pond. Catch your breath, sit on a rock and enjoy the view of Vermont’s highest elevation trout pond. Catch some fish, relax, and enjoy the quiet. There is a shelter near the lake if needed. Ready to move on? 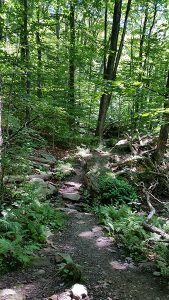 Stay on the Long Trail going north for about .3 miles and look for a short spur trail to the top of Smuggler’s Notch Ski Resort and enjoy the views across to Mt. Mansfield – you’re now at 3,000 feet. Backtrack along the spur to the Long Trail north to the shelter near the chairlift where you will take a right onto Elephant’s Head Trail that continues around the pond. When you’ve gone about ¾ of a mile look for another intersection with the Long Trail and head downhill (turn right). This takes you to the Sterling Pond Trail – where you will turn left back to the parking area. Total pond circumference is about 1.4 miles clockwise around the pond. Total distance is 2.8 miles plus an additional easy 1.4 mile loop around the pond. Elevation gain is 1,000 feet. Difficulty is rated Moderate by the Green Mountain Club. There are many signs that say don’t enter this private refuge and enormously beautiful spot, however, continue on your journey. 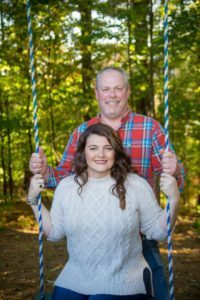 The Trout Club is intensely private, however, management’s respect for the beauty of Vermont and their location on Lake Mansfield permits outsiders like you and I to hike in the woods that surrounds the lake. 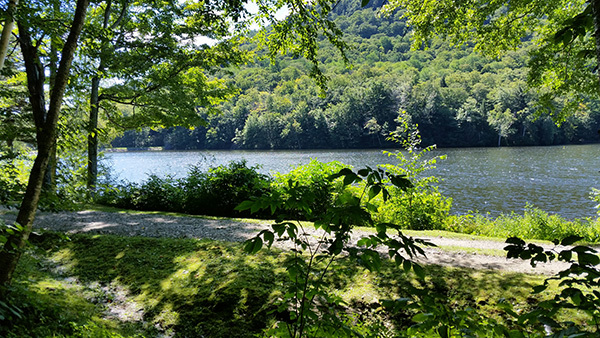 Mansfield Lake is 39 acres surrounded by hills – a stunning setting. The lake, of course, is annually stocked with Trout. The Lodge was originally built in 1899 and the Trout Club seems to have its own unique culture. From Waterbury heading north towards Stowe, take Rt. 100 and turn left on Moscow Road. Continue on Moscow past the Barrows Road cutoff until you find Nebraska Valley Road on the right (just past the intersection with the Trapp Hill road on the right.) It’s going to be about four miles until you reach the Lake Mansfield Trout Club. 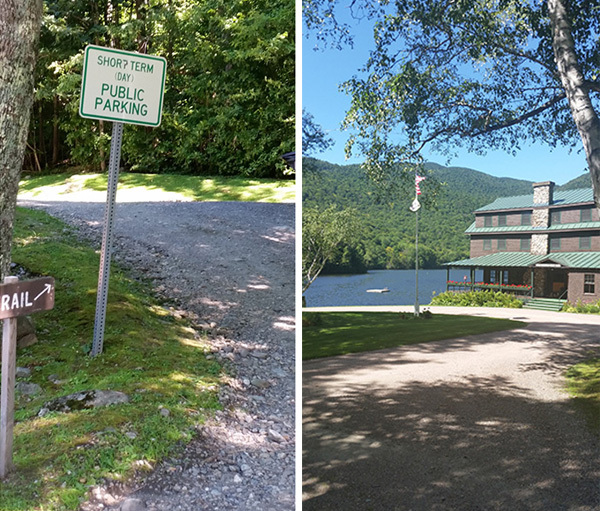 There is a clearly designated area to park close enough to the Lodge to capture the picture on the left. There is also a clearly marked entrance to the one hiking trail. The first half mile runs parallel to Lake Mansfield and occasionally opens onto the lake. Once you have passed the lake you continue on the Lake Mansfield Trail heading north-north-west for more than a mile to reach Taylor Lodge. 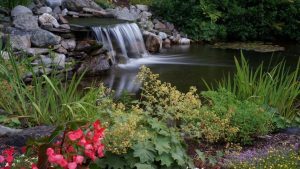 Just before you reach the lodge you will find a small, lovely waterfall. The trail is relatively narrow but despite tree roots and the usual array of sleeping rocks it is entirely navigable. The surroundings are classic, unspoiled Vermont. The lodge in is at the intersection of the Lake Mansfield Trail, the Long Trail, and the Clara Bow Trail. Total elevation gain is about 500 – 600 feet; manageable since it has over a mile to work with. Taylor Lodge is in the midst of the Mount Mansfield State forest, and the only way home is to backtrack the way you came. In the early 1800s, pioneers cleared fields, rocks, and stumps in the Ricker Basin and Cotton Brook. A settlement of 50 or so families once lived in this area. For about 130 years this was a thriving community of farms, sawmills, churches, schools, creameries and taverns. Gradually, the demands of the land and weather forced younger generations to abandon the farms. On November 3-4, 1927, torrential rains caused massive flooding, property destruction and loss of life throughout Vermont. A second flood in 1934 inundated Waterbury; this spurred the construction of Waterbury Dam. 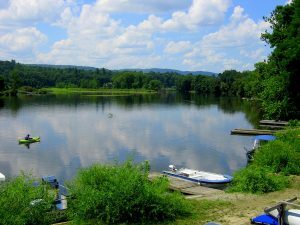 Between 1935 and 1938 the Civilian Conservation Corps (CCC), in cooperation with the U.S. Army Corps of Engineers, constructed the 180 acre Waterbury Reservoir (pictured below) which runs adjacent to the Little River State Park. The CCC camp here was a fully operating, thriving community with more than 80 buildings, and housing 2,000 men at its peak. Today, cemeteries, sawmill remains, old town roads, bridges and many cellar holes can still be seen as evidence of past communities. Hiking trails abound and each finds another piece of the history – both a trip through the beauty of Vermont and its history. There are a total of 26 miles of different trails within the Little River State Park. These shots were taken along the Stevenson Brook Trail which runs for about 2.5 miles. The Stevenson Brook runs down the eastern slope of Ricker Mountain and takes thousands of gallons of snowmelt in Spring resulting in currents strong enough to move all but the largest boulders. The Hell Brook trail (also called the Mansfield Trail) is a fun and challenging route to ‘The Chin’ of Mount Mansfield (The Summit). This is the shortest and steepest but also most technically difficult route to the summit. It is generally considered one of the most challenging hikes in the state. The trail is mostly large rocks and is usually wet. This route is considerably less busy than the popular Long Trail, which also makes it nice. From Stowe village take Rt 108 north 8.4 miles. On the left side of the road look for the brown “Long Trail” signs and the 2″X6″ blue blazes marking the Hel Brook trail. Park in the Big Spring parking area. Right from the start you experience a daunting grade that will keep you breathing a bit faster as you begin to climb. It is not unusual to find wet conditions – mud and running water – so waterproof footware is essential. Moisture makes climbing more difficult, since Hell Brook is known for challenging rock climbs that require using all parts of your body. Expect to show some badges of courage (scratches, gashes, etc.) from this climb. The pace of difficulty is unrelenting with hand-over-foot scrambles, and especially when you encounter alpine streams raining down on you. The last climb to the chin is difficult and technical. Lots of rocks and many opportunities such that you are near exhaustion – and as a result — heightened danger. It’s not called “Hell Brook” for nothing! Views are impressive from the top, but wind and lower temps (10 to 15 degrees) are another danger. Bring an extra cover to ward off hypothermia. The Green Mountain Club does NOT recommend descending back the way you came. Too wet and too dangerous. Hell Brook ends at the intersection with the Long Trail and that is the way down. When you reach Rt 108, head north until you reach the Big Spring parking area (this will be the easiest portion of your hike). 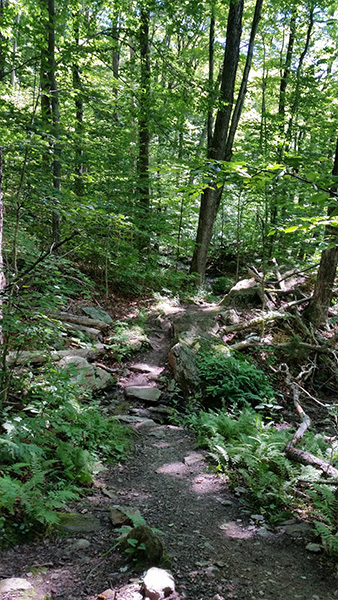 Climb = 2590 feet – the steepest vertical climb on the Long Trail. Difficulty = Very hard. Do not undertake this climb alone. 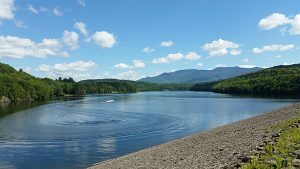 Looking for other adventures in Stowe Vermont? Todd and Kristie were fabulous host making sure to inform us where to eat, shop and find all the covered bridges in the area. They also pointed out great hiking trails in the area and made sure to mention to drive through Smugglers Notch State Park. So glad they did. We are loving our first summer in Stowe. To put it simply: it’s awesome! 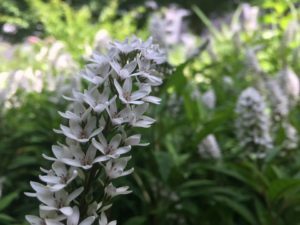 Summer Stowe Gardens: Our gardens are thriving and we’re thankful daily for the beauty and tranquility that the Stone Hill Inn provides both us and our guests. They provide the perfect retreat for unwinding and spending time with the one you love. Quiet and secluded, Stone Hill is known for its intimacy and charm, making it ideal for elopements, engagements, and honeymoons. 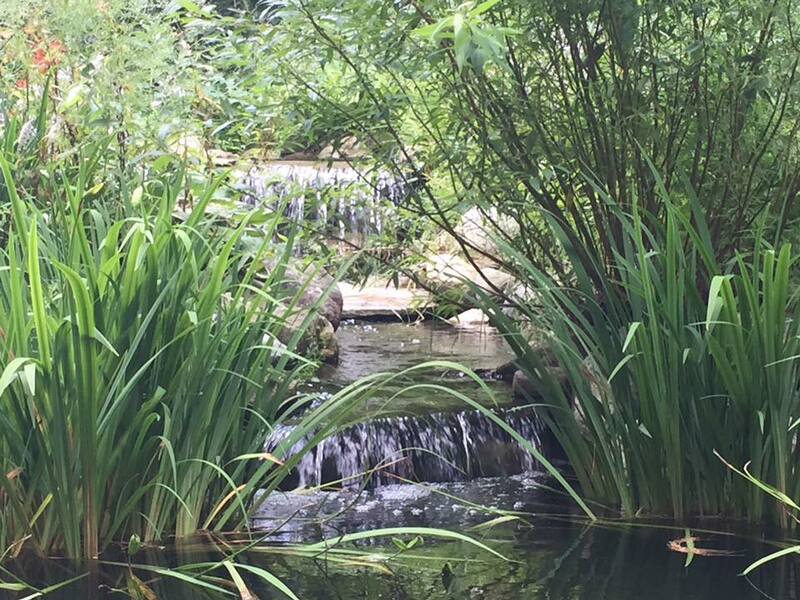 Many guests exchange vows along our garden paths or next to our glistening garden waterfall. Our luxurious nine-room Inn provides ample space for romantic small weddings (learn more about our Vermont Elopement packages). Summers in Stowe also offer many cultural opportunities. 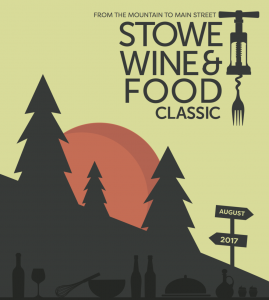 This August (2017), Stowe is hosting the 6oth Stowe Annual Antique Car Show, Stowe Tango Music Festival, Stowe Wine & Food Classic, and Northeast Delta Dental Race To The Top Of Vermont. See more events at GoStowe’s event calendar. We’re offering a special package, Water and Wine, that gets you out, enjoying the beauty and peacefulness of either the Lamoille or Winooski river (dependent on booking day of week). With 2-night stays, add the Water and Wine package for an unforgettable retreat to the peacefulness of the Lamouille or Winooski river. On your first evening, receive a bottle of wine upon your arrival to the Inn. In the morning, wake-up to a gourmet sunlit breakfast. 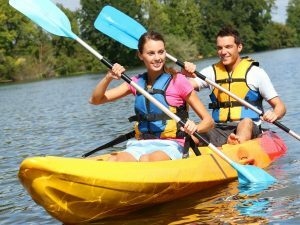 Leave the Inn by 11am to prepare for a warm early afternoon, guided canoe/kayak trip together on the lovely and quiet Lamoille or Winooski river (no experience needed – a casual and scenic, two-hour float trip). You will end at the Boyden Winery where the local outfitters will take care of your craft for you while you tour the winery and enjoy a tasting among their award winning wines. This offer cannot be combined with other offers or with third party gift certificates. No promocode required. Call us to book your romantic getaway today (802) 253-6282 or book online. Romance is always season! If you love cars, Tango music and dancing, wine festivals and gourmet foods, or races, then this August Stowe is absolutely the perfect Vermont getaway location. Car enthusiasts…you’ll be in heaven! 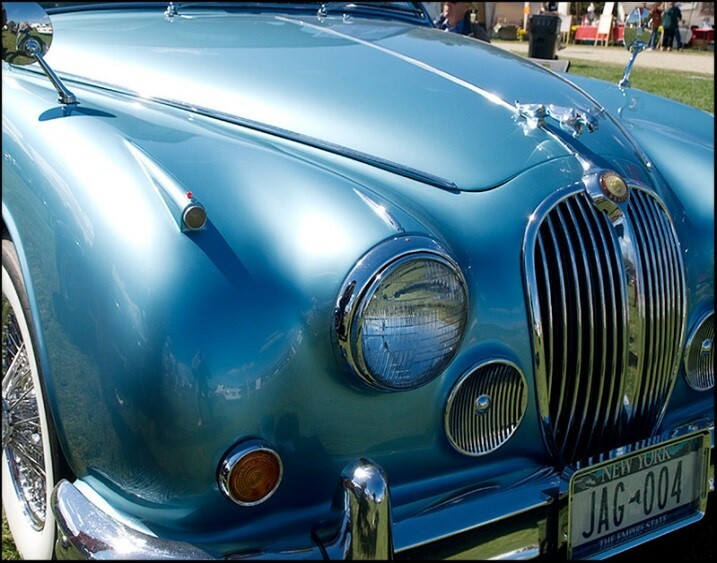 This car show features over 800 antique & classic cars on display, food concessions, a giant automotive Flea Market, Street Dancing, Automobile Parade and the Car Corral. Stowe, Vermont has hosted the Vermont Automobile Enthusiasts, Inc. Antique and Classic Car Meet for 60 years. It is one of the largest and oldest in New England and has become a cherished summer tradition in Stowe. The show will be located on Nichols Field, Route 100, South of Stowe Village. 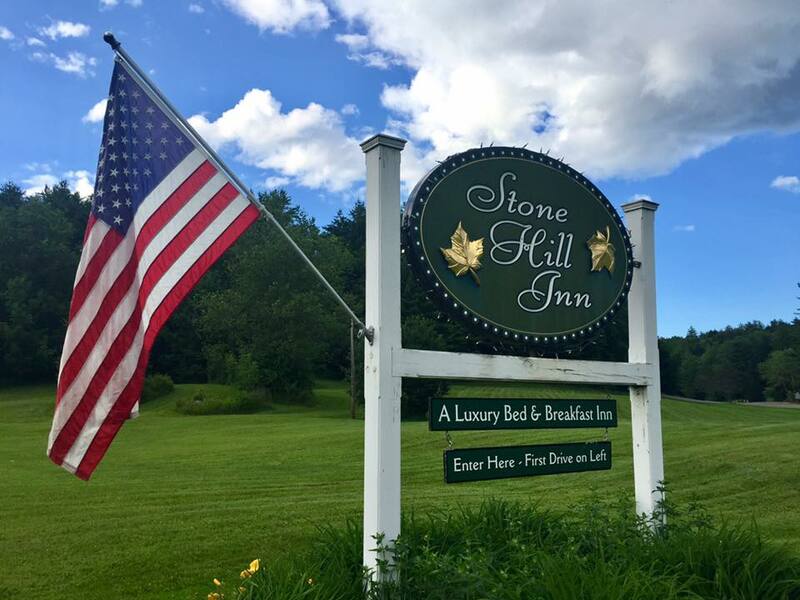 Whether you’re participating in the Stowe Annual Antique Car Show or just coming to enjoy the festivities, be sure to book a stay with us at the Stone Hill Inn to add a restful retreat to your weekend! Come celebrate the romance of tango! 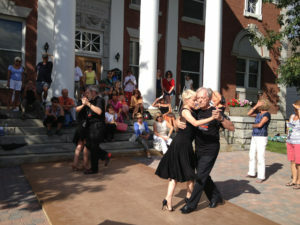 The Stowe Tango Music Festival is the United States’ premier tango music festival, noted both for its unique series of performances and its high level of musical training. Dance workshops and live music abound. The line-up of public events – some are free and some are ticketed – includes a variety of musical performances, dance workshops, dance parties (known as milongas), educational presentations, and social gatherings. 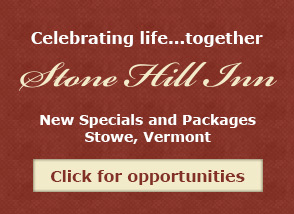 Come to Stowe for a romantic musical weekend getaway, and book a stay with us at Stone Hill Inn. Foodies…this is the weekend for you! 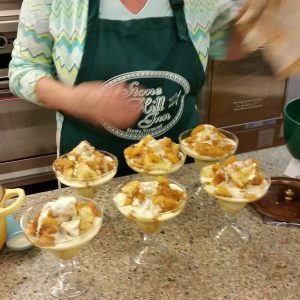 The Stowe Wine & Food Classic continues as New England’s preeminent culinary event and the signature event of Stowe Charities, Inc. It is an elevated beverage and culinary experience designed to heighten the senses. Guests enjoy an all-inclusive afternoon of wine tasting along with artisan spirits and craft beer for one ticket price. Early Bird is $65 and Day-Of pricing is $75. Distinctive food pairings from leading Vermont chefs and mountain views make Stowe Wine & Food Festival Grand Tasting a must-attend event this summer. This event draws as many as 800 hikers, bikers, and runners from across the U.S. and Canada to climb Mt. Mansfield, Vermont’s highest peak. 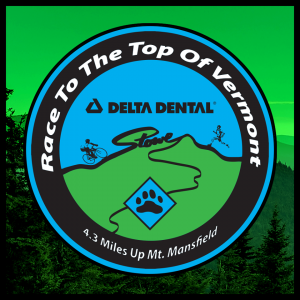 The course climbs up the historic Mansfield Toll Road, is 4.3 miles in length, and climbs 2564 ft. For some, it’s about speed (how fast can I climb this tough 4.3 course); for others, it’s about testing themselves and enjoying the spectacular views. Whether you are participating or just coming to cheer, finish your active day with a relaxing, couples-only escape at The Stone Hill Inn. There’s so much to see and do in Stowe, Vermont during the month of August. We look forward to sharing our beautiful town with you. The Concours d’Elegance system will be based on a 100-point system, similar to the Classic Car Club of America (CCCA) judging rules. Criteria for judging includes mechanical operation, paint, interior, woodworking, undercarriage, chrome, engine compartment, and authenticity. A minimum of 90 points is required for 1st place, 85 for 2nd place and 75 for 3rd place. In case of a tie score, multiple awards will be presented. All entrants will receive participation ribbons. So, we’ll keep the Jag safe and warm in our Stone Hill Inn garage this winter so it might have a chance to compete with the coming of next year’s fall season. NEW LOCATION for 2014 The British Invasion will take place on the Stowe Events Field 1/4 mile north of Stowe village just off Route 108 on Weeks Hill Road. In addition to the Concours d’Elegance there is another car show at the British Invasion: People’s Choice . Over sixty classes of motorcars compete, everything from humble Mini Coopers to stately Rolls Royces. Enjoy British food, shops, and unique British gifts commemorating this highly anticipated event! Events include a Notch Run Driving Tour, Tailgate Picnic Competition, British Pub, British Car Corral and much more. British Invasion Block Party! Friday, September 19, 2014 | 6:30 – 9:30 p.m. This kick-off event for the British Invasion is a don’t miss event for visitors and locals. 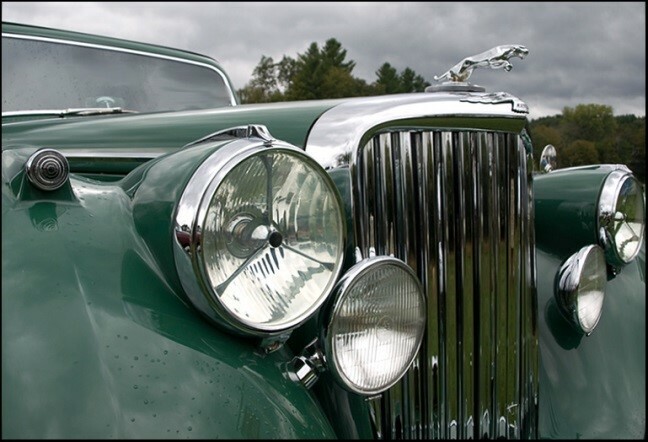 Dance to the music of Joey Leone’s Chop Shop and enjoy classic British motorcars all along Main Street, (which will be closed off) while enjoying local food and brews. British Market Place & Auto Jumble– Friday noon to Sunday A collection of British Companies and vendors selling British, and British like products and services. Hard to find car spares, motoring accessories, motoring teddy bears, British candy, Regalia, Barbour jackets, and more. British Car Corral – Friday noon to Sunday An opportunity to buy or sell a British Motor Car or Motorcycle. “For Sale” signs are NOT allowed on the show field. You may place a car for sale in the Car Corral. but in so doing, it cannot compete for honors on the show field. 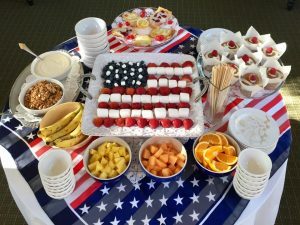 Tailgate Picnic Competition– Sunday A display of creativity, good food, and things British. This event has become a “Classic” and perhaps one of the best Tailgate Competitions on the East Coast! Awards will be given for “Most Elegant“, “Most Creative“, “Most British“, “Best Costume“, “Best Tasting“, and “Most Humorous“. Yes, it will be a wonderful weekend at this year’s British Invasion – apparently the 25th year for this event which is rumored to have begun in 1990. 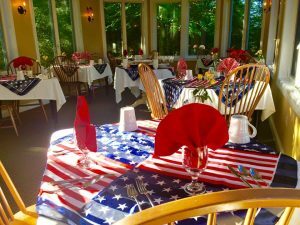 Once again we shall host at least one of the Concours d’Elegance judges and we shall, of course, have lots of Iced Tea each day for guests of our Stowe bed and breakfast! 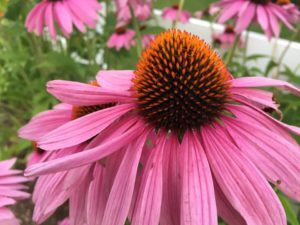 Summer in Stowe – Exciting Festivals & Events! FRIDAY, SATURDAY AND SUNDAY June 26, 27, and 28! A celebration of Vermont Mountain Biking! B3 Fest Kick-Off Party Friday, 4:30 downtown Stowe Village! 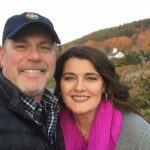 Music, food and drink tastings from vendors including Alchemist, Green Mountain Distillers, Trapps Brewery, Crop Brewery, Stowe Cider, Sage Farm Goat Dairy, Mt. Mansfield Creamery and others. Beer, Wine, Spirits, & Cider Promos! Guided Group Mountain Bike Rides! Free Beginner Mountain Bike Lessons! Kids Rides + Free Popsicles! Pool parties & bouncey houses! Stone Hill Inn currently includes the Mary Chapin Carpenter as its latest Evenings! promotion. (Two-night stay, tickets to the concert, and $50 off dinner before or after the show at Phoenix Table and Bar. Click here for our website.) 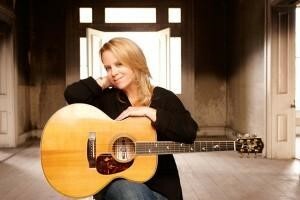 Over the course of her acclaimed career, Mary Chapin Carpenter has recorded 13 albums and sold over 13 million records. With hits like “Passionate Kisses” and “He Thinks He’ll Keep Her,” she has won five Grammy Awards (with 15 nominations,) two CMA awards and was inducted into the Nashville Songwriters Hall of Fame in 2012. Her songs speak to the most personal of life’s details and the most universal. She will perform in Stowe with her trio. Tickets: Prices start at $20. $45 & $55 regular, $65 premium. 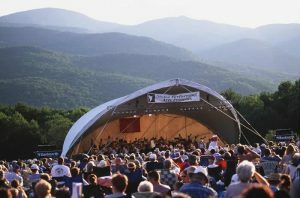 A long running tradition in Stowe, Vermont, the Music in the Meadow Concert Series is a favourite among both visitors and residents. Stowe Performing Arts had its first concert in Whisker’s field back in 1976—this perennial summer series eventually became known as the Music in the Meadow concerts. 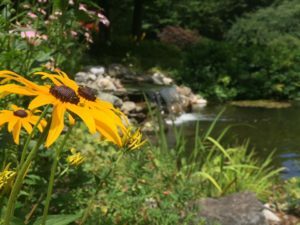 To audiences’ delight, The Trapp Family Lodge Meadow acts as a natural amphitheatre allowing concert performances to clearly project over the greens. The front half of the meadow is for blankets and low-back chairs and the rest is “picnic-style” on a “first-come, first-served basis”. As if a summer’s evening in Vermont weren’t magical enough already…the VSO conjures up a dreamscape of enchantment. Wizards, witches, and trolls, oh my! Our musical sorcery spirits you to Middle Earth—and then safely back to your picnic spread. As always, concerts conclude with the spectacular 1812 Overture, marches, and fireworks. $30 in advance; $35 at the gate. Founded in 2007 by a tightly-knit collective of 17 young professional musicians, Grammy-nominated A Far Cry stands at the forefront of an exciting new generation in classical music. Take a look/listen! According to The New York Times, the self-conducted orchestra “brims with personality or, better, personalities, many and varied.” A Far Cry was founded in 2007 by a tightly-knit collective of 17 young professional musicians, and since the beginning has fostered those personalities. By expanding the boundaries of orchestral repertoire and experimenting with the ways music is prepared, performed, and experienced, A Far Cry has been embraced throughout the world with hundreds performances coast to coast and across the globe. $30 in advance; $35 at the gate. 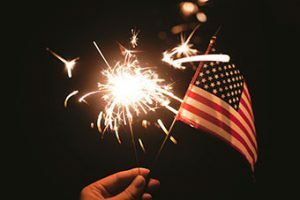 Posted in Area News & Events, Attractions & Activities, Summer Activities | Comments Off on Summer in Stowe – Exciting Festivals & Events! Growing up as a Marylander, my exposure to Alpine skiing was limited to ABC’s Wide World of Sports with Jim McKay. Scarce, however, would be a New England childhood without first hand exposure to Alpine skiing. And the name they invariably associate with the best New England skiing would be Stowe. Even Stone Hill Inn guests who have been neither to Stowe nor Vermont, clearly associate Stowe as best known for skiing. They assume that Winter must be our busiest season. This is the Stowe that we all know. So, the vast majority of nearly a million visitors that comes annually to Stowe come in the Winter. Right? This is the Stowe you didn’t know. 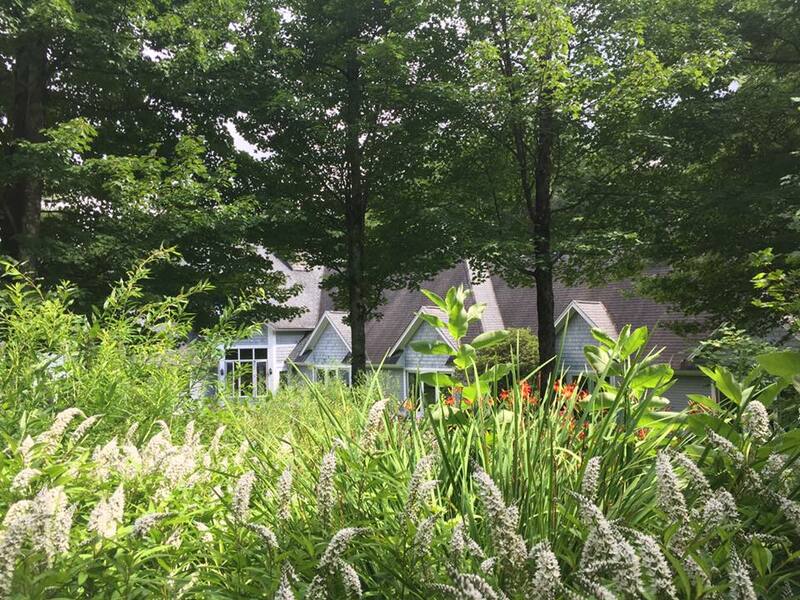 Summer in Stowe, VT is by far the season that receives the most visitors! Eh? Why is that, George? Southern New Englanders along with those from PA, NJ, and DC seeking relief from heat and humidity are impressed when a hot day in Stowe is only 89 degrees with much more moderate humidity. For a town of only 5,000 permanent residents it has over 50 restaurants and supports dozens of lodging establishments representing a wide degree of sophistication and price. 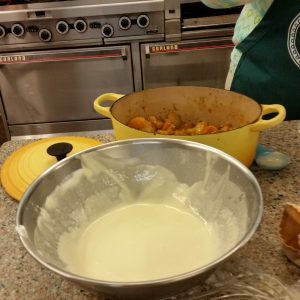 Stowe is a strong supporter of the Farm to Table culinary movement and guests often praise the freshness and taste of its food, both at Stone Hill and at the local restaurants. As we mentioned in a previous blog, the Stowe area represents one of the most heralded centers for craft beer production in the U.S.
Unspoiled is the word often associated with Vermont and its 300,000 acres of state-owned forests. 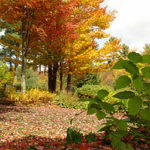 Stowe, by itself, has 53,000 acres of beautiful forests for enjoyment via the C.C. Putnam and Mt. Mansfield State Forests. Ballooning – a 45 minute ride gives you a spectacular view of Lake Champlain, the Adirondacks, and Stowe’s nationally known ski area — mountains Mansfield and Spruce. Soaring – For what you didn’t see in the balloon, a 20 to 40 minute ride will fill in the gaps! We’re members of the Stowe Mountain Bike club and have access to maps and suggestions for how you can enjoy the nearly 70 miles of single track mountain bike trails. In the third annual Vermont Rider’s Choice Awards, Stowe received three of the 11 awards including The Trail with The Most Flow. Stone Hill Inn has hoses for bike cleaning and four garages to secure your bikes for you. We’re also members of the Green Mountain Club, keepers of the lauded Long Trail that runs the length of Vermont. We can provide suggestions for easy, moderate, and more difficult hikes/climbs, and we have maps to help you explore and get the most from your experience. If you like, we can arrange for local guides – experts in the area and techniques – to accompany you. White water canoeing. Try your hand at a guided Upper Gorge River Challenge in a canoe with Class I and II rapids. It’s a six mile trip through stunning scenery and rock formations on the Winooski River. Kayaking and Canoeing by yourself. Most of the local rivers are very tranquil yet offer beautiful views and a sense of peace for two or more hours. Choose the Water & Wine trip to end your brief water excursion at the award winning Boyden winery for a tour and tasting! Yes, even in the summer – it’s on wheels! We love the Eden Mills location and its natural beauty, and you’ll love the dogs and this memory-laden adventure. Just 15 minutes away from us and you will spend 2.5 to 3.0 hours on eight different ziplines, two bridges, and two easy rappels! Complete fun for all ages. Well, you probably figured there would be golf in Stowe, and there is via the Stowe CC (public; a mile from Stone Hill – 6300 yards) and the Vermont CC (about 20 minutes away, longer and tougher). We list them because we like to play golf ourselves! 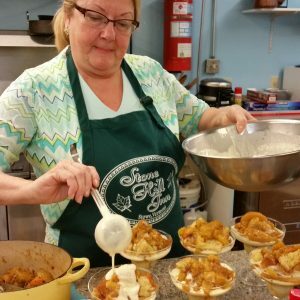 So that’s a sample of The Stowe You Didn’t Know and all the things to do in Stowe, VT during the summer that has made it more popular than Winter in Stowe! It was Christmas 15 years ago. We had just purchased a new home within the past year, everyone was employed, and we were looking forward to its second Christmas. Our current car was seriously old and becoming more expensive with each 1000 miles. Somehow a picture of a new car that we had never seen slipped across Linda’s desk producing an immediate plea from Linda to swap old for new! Of course the price was problematic. The car was absolutely lovely. Even I liked it (all except the price.) Christmas was coming so I, like all males, continued to protest the price and the frivolousness of such a purchase while quietly considering the possibility and looking for a solution. So, Christmas morning Linda’s brother – on cue – drove the new car down our driveway wrapped with a huge red ribbon and bow on top. Linda vaulted out the front door in robe and slippers to view the car you see below – a 2000 Jaguar S Type – the first of its kind in the US. Built in Birmingham, England and designed by Geoff Lawson, the key designer for Jaguar. 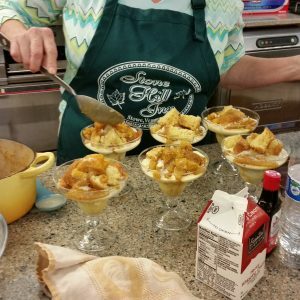 We still have this car and Linda still drives it to Shaw’s grocery store to get Yogurt, fresh fruit, and dozens of other ingredients for those fabulous breakfasts she designs at our charming Stowe bed and breakfast. So, this September 19-21, 2014, you are likely to find us attending and reviewing many of the entries into the 24th annual Stowe British Invasion car show. 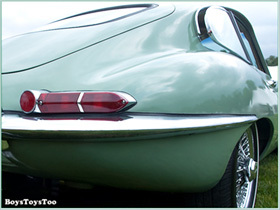 This is North America’s largest British Classic Sports Car and Motorcycle Event! Its mission is to provide a “Three Day Celebration and Salutation to the Great British Motorcar and all manner of other things British.” It includes participants primarily from the US and Canada with over 600 cars on field, and approximately 1000 total. The official kick-off reception for this year’s British Invasion is to be held under the tent at the STOWE EVENTS FIELD. This event is open to all Pre-Registered participants in the British Invasion Weekend, Car owners and Vendors alike. Come and join the celebration of things British as Main Street will be awash with people in a festive mood and, of course, lots of British Motorcars. Enjoy live music, food, and beverage service. The local shops and restaurants will also remain open. Main Street will be closed to through traffic and reserved for British Motorcar parking on Friday evening. The Concours d’Elegance is a “Judged” competition that attracts exceptional show cars. Requirements: must be British, over 15 years old, and may NOT be replicas. Judging of entrants in the Concours d’Elegance competition will be based on a 100-point system, similar to the Classic Car Club of America (CCCA) judging rules. Criteria for judging includes mechanical operation, paint, interior, woodworking, undercarriage, chrome, engine compartment, and authenticity. A minimum of 90 points is required for 1st place, 85 for 2nd place and 75 for 3rd place. In case of a tie score, multiple awards will be presented. All entrants will receive participation ribbons.The Concours d’Elegance is a pre-registered ONLY event. Our British Pub will be open to present fine English ales, wine and perhaps a mixed drink or two. A display of creativity, good food, and things British. This event has become a “Classic” and perhaps one of the best Tailgate Competitions on the East Coast! Awards will be given for “Most Elegant”, “Most Creative”, “Most British”, “Best Costume”, “Best Tasting”, and “Most Humorous”. A collection of British Companies and vendors selling British, and British like products and services. Hard to find car spares, motoring accessories, motoring teddy bears, British candy, Regalia, Barbour jackets, and more. 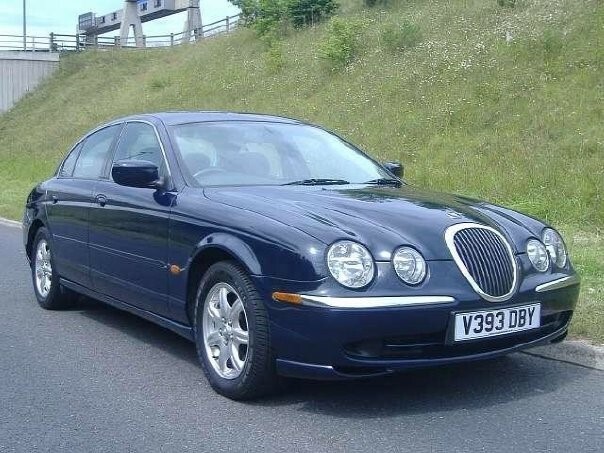 An opportunity to buy or sell a British Motor Car or Motorcycle. Come join us at the show. 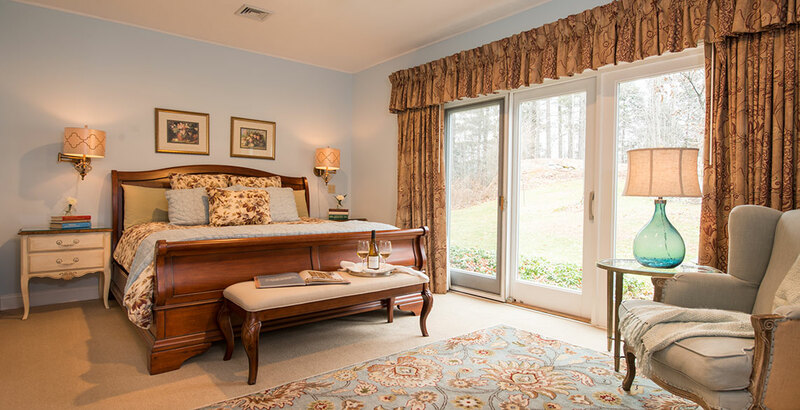 One of the judges of the Concours d’Elegance will be staying at the Stone Hill Inn with us!